An expert panel has established new guidelines for the nutritional management of gastrointestinal (GI) symptoms in autistic children. The guideline acts as a structure of navigation of the more common nutrition issues in autism spectrum disorder (ASD). Nutritional deficiencies, food selectivity, and alternative diets were on the agenda for the panel at Marcus Autism Center—an affiliate of Children’s Healthcare of Atlanta. The six-member dietician committee have a combined 125 years working with autism and nutrition. Information from the event was recently published online in the Journal of the Academy of Nutrition and Dietetics (JAND). Food selectivity sometimes contributes to the GI symptoms in ASD children. In food selectivity, a child will avoid certain foods and eat less food than normal. However, at other times, the selectivity is related to gastroesophageal reflux disease (GERD) or food allergies. Previous research promotes a casein-free and gluten-free diet in the treatment of ASD. Evidence also suggests that ASD children are at risk of conditions related to nutrition such as poor bone growth or obesity. Committee guidelines also suggest nutritional supplements should support nutrition and feeding therapies in severe cases of food selectivity. The guideline also recommends nutritional consults with a registered dietician nutritionist to help address GI concerns related with ASD. 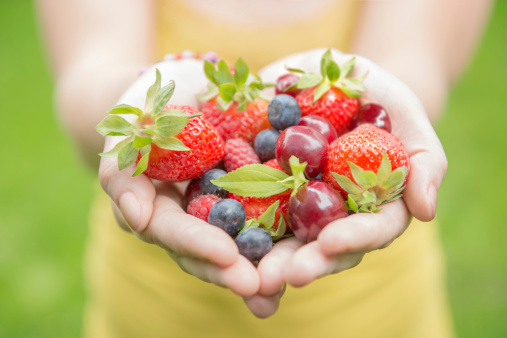 Holistic nutritionists are also trained to address the complex nutritional concerns of autism. Brain development is strongly impacted for people with ASD. It is a complex condition that is more common in children, and affects how they communicate, their social interactions, behaviors, and interests. In the past 15 years the prevalence of ASD has increased dramatically. According to the CDC’s Autism and Developmental Disabilities Monitoring (ADDM) Network, ASD is common in approximately one in 68 children. In 2000 and 2002, autism affected around one in 150. Berry, R.C., et al., “Nutrition Management of Gastrointestinal Symptoms in Children with Autism Spectrum Disorder: Guideline from an Expert Panel,” Journal of the Academy of Nutrition and Dietetics, published July 9, 2015, doi: http://dx.doi.org/10.1016/j.jand.2015.05.016. “Autism Spectrum Disorder,” Centers for Disease Control and Prevention web site; http://www.cdc.gov/ncbddd/autism/data.html, last updated June 22, 2015. Elder, J.H., et al., “The gluten-free, casein-free diet in autism: results of a preliminary double blind clinical trial,” Journal of Autism and Developmental Disorders April 2006; 36(3): 413–420. “Expert panel sets nutrition guidelines to manage GI symptoms in autism,” ScienceDaily web site, July 23, 2015; http://www.sciencedaily.com/releases/2015/07/150723111348.htm.